Fabricated from solid brass material for durability and reliability, its premium color finish resists tarnishing and corrosion. This product is designed to provide a lifetime of durable performance. 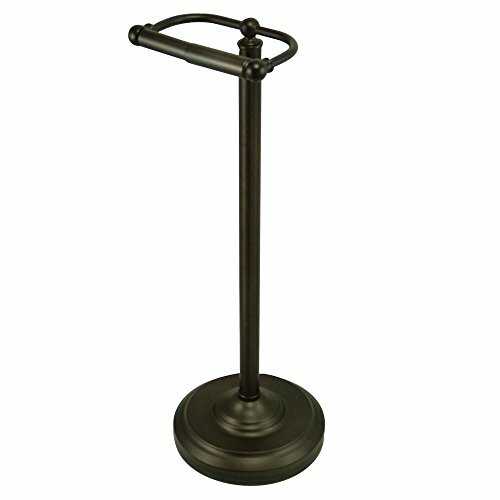 This pedestal toilet paper holder is 21-1/2-Inch tall with a 7-1/2-Inch diameter base and 6-Inch inch long toilet paper holder. If you have any questions about this product by Elements of Design, contact us by completing and submitting the form below. If you are looking for a specif part number, please include it with your message.